It is quiet once again at Ashbee Hill. Kids and grandkids have packed up and traveled on. Our Thanksgiving together was wonderful. We served dinner to 21 and haven't begun to sort through the photos. There may be a post or two there to share ideas for pulling off a big feast but right now I am still recuperating. The house is still in disarray but it is a mess that I am thankful for. I am thankful for my wonderful family and that they love coming home! 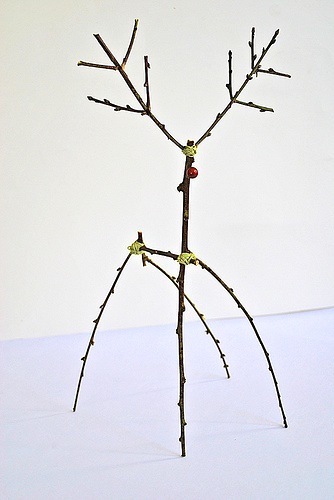 This first one was made by my dad and I have posted about him before here. 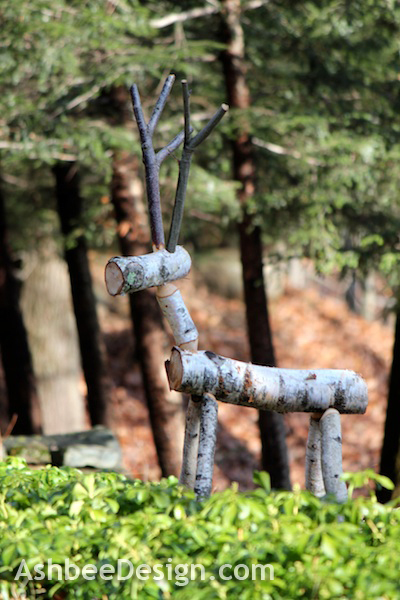 Crafted from found fallen birch trees I love his rustic character standing guard in my yard. This same concept has been crafted in many sizes and shapes to create reindeer of all different personalities. Here are a few by others. 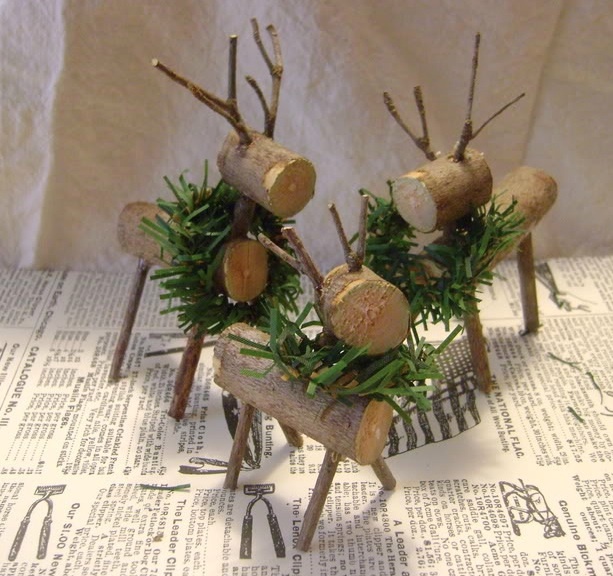 This first one would be easier to craft because it is a much smaller version of the one above. 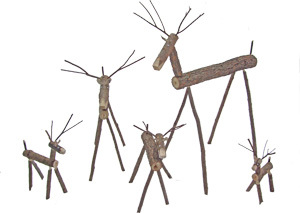 A family of these would look great on a mantle. This little fellow appears to be a simplified marioneete. Reminds me of the puppet show in the movie version of The Sound of Music. How's that for a childhood memory? Here is another tiny set but with added greens. I love the personality of this guy. There is a wonderful tutorial if you follow the link to Pretty Ditty. 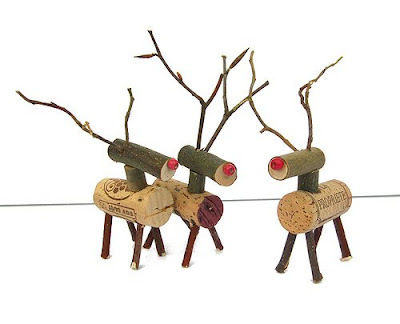 Save your holiday corks and craft these guys for next year. 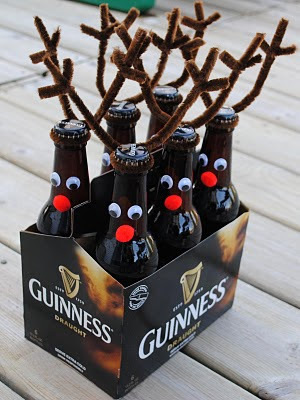 What a great hostess gift this would be for any of the holiday parties you might be attending! 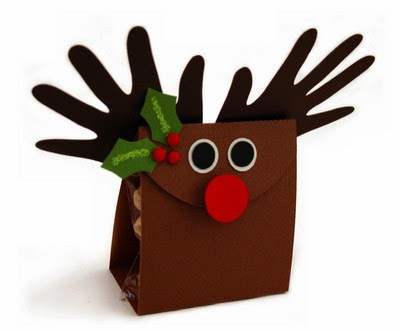 This year he became Rudolph thanks to my grandson! Great Reindeer. I really like it. Your page is very interesting. Greetings from me and the Czech Republic. Thank Iva, glad to have you visiting from the Czech Republic. 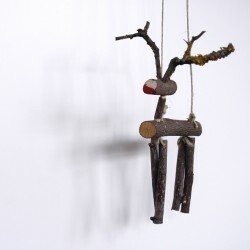 Fantastic....I think the skinniest reindeer of all was my favourite. Thanks for sharing. The skinny one is my favorite as well. It has me looking at my branches again. 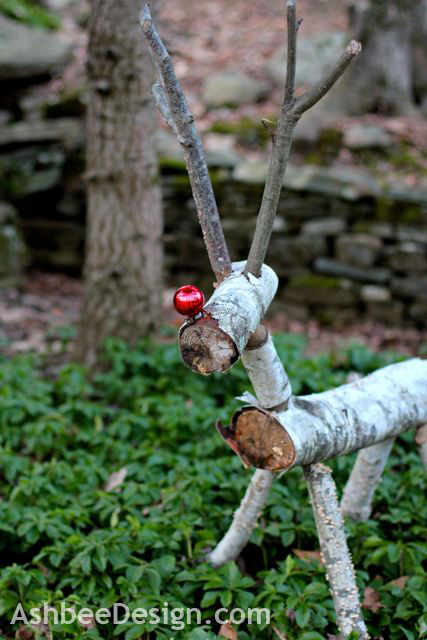 a few of these around the house would add such personality!